At the end of September I delivered this wedding and groom's cake to The Grand Ivory in Leonard. The bride knew exactly what she wanted at the consultation. 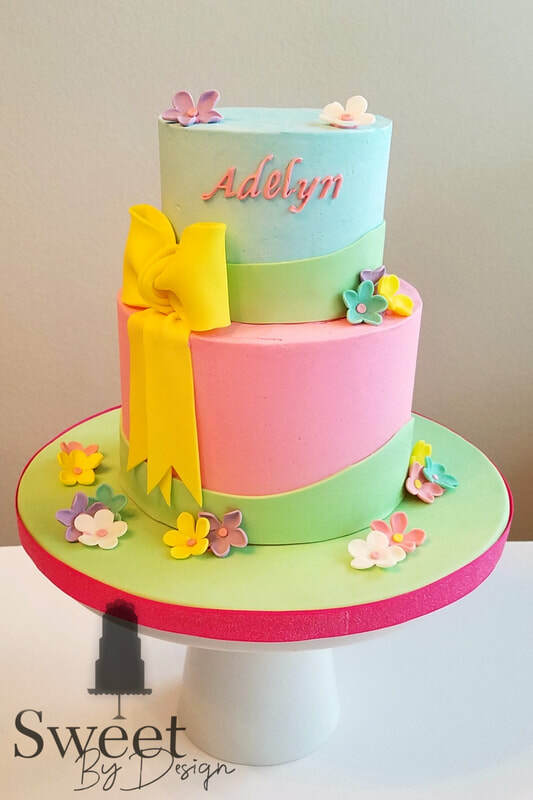 She brought me pictures of three different cakes and said I want the bottom tier of cake one as my top tier, the middle tier of cake 2 as my middle tier... That part of the consultation went quickly and the design was inspired by a glass of champagne. We then started talking groom's cakes. The only real requirement was that they wanted to incorporate a tier that was painted to look like wood. I love hand painting wood grain because each time you get something slightly different and unique. We talked about where the couple went to college and came up with a design. 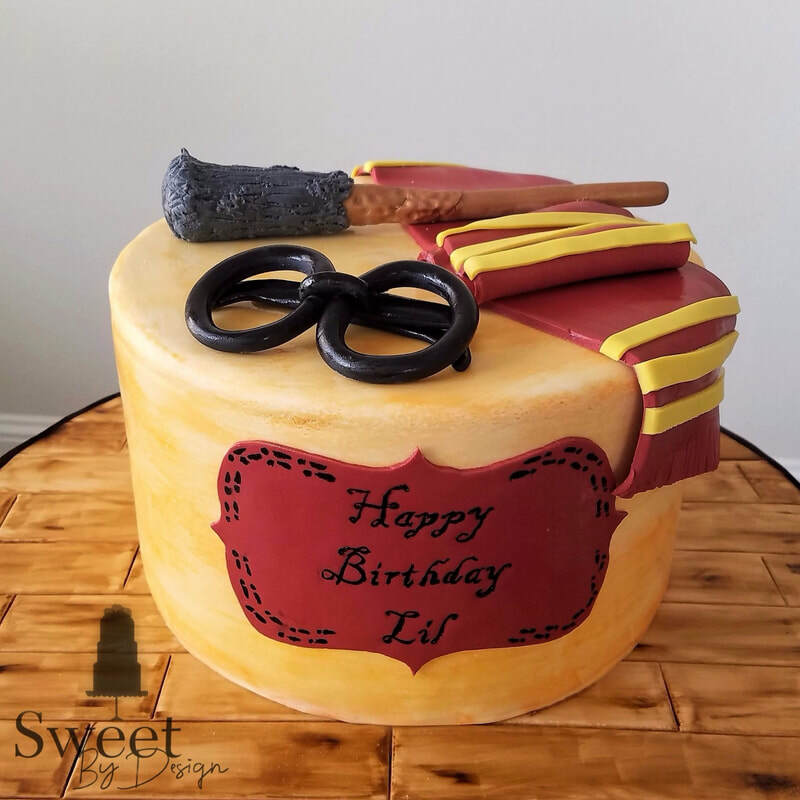 The bottom tier was a square cake covered in fondant and painted to look like a wooden box. 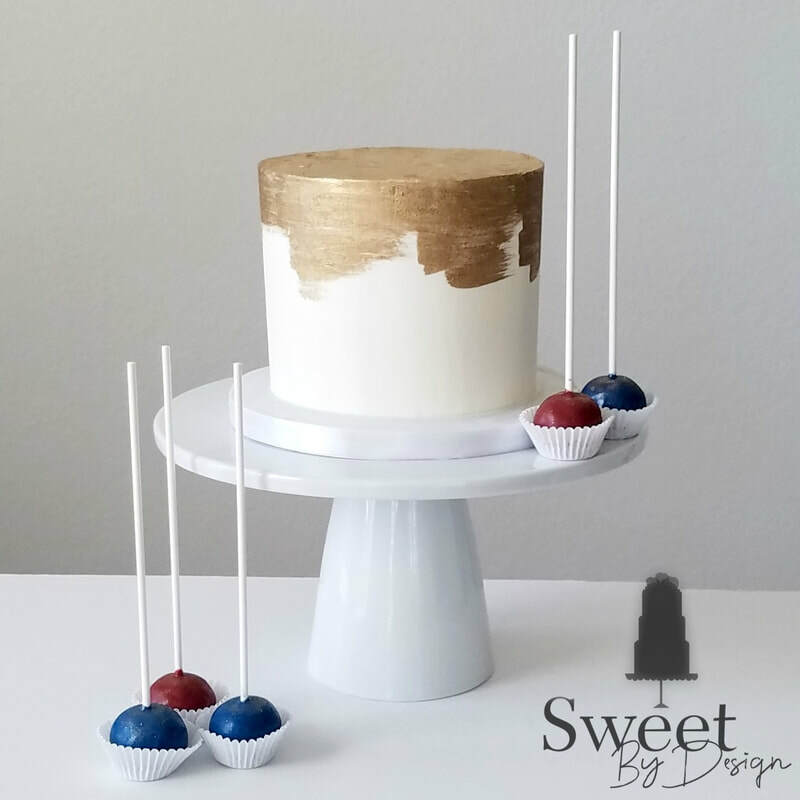 On top was a buttercream tier adorned with the Texas Tech Red Raider's mask and cape, "guns up" signal, and the double T. My husband, an Aggie for life, had a hard time watching me make this one! 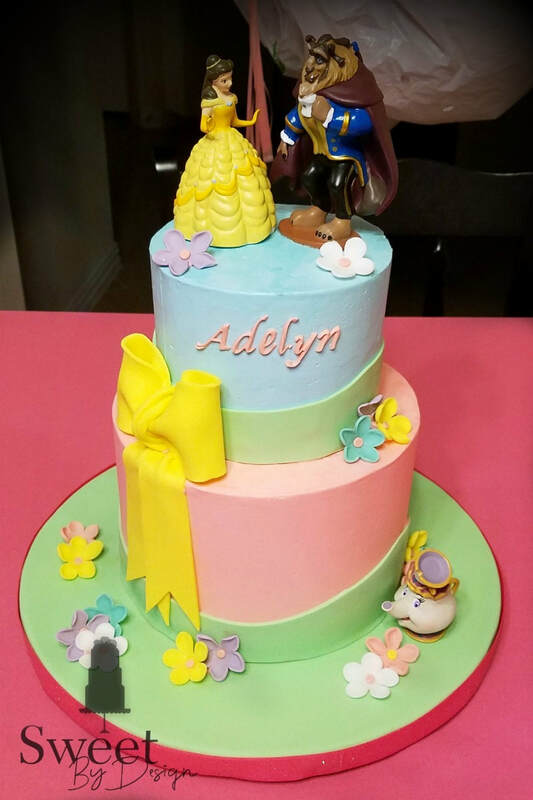 Occasionally, I will get a request for a duplicate of a cake I have made previously... the "I saw this cake on your website, and it would be perfect for my daughter's birthday!" order. I like having this kind of cake every now and then because it gives me a chance to rethink how I did the original and challenges me to find what I can do differently to make the new version special for the new client. 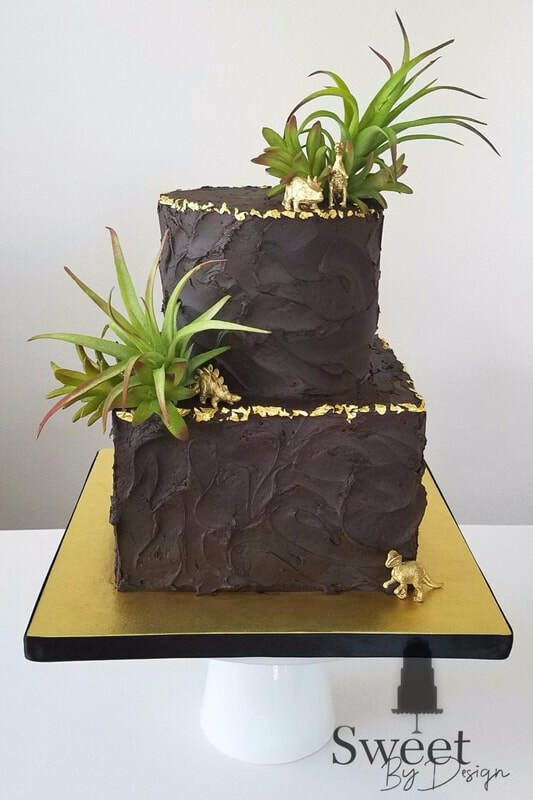 Here is the original cake I made a couple of years ago. 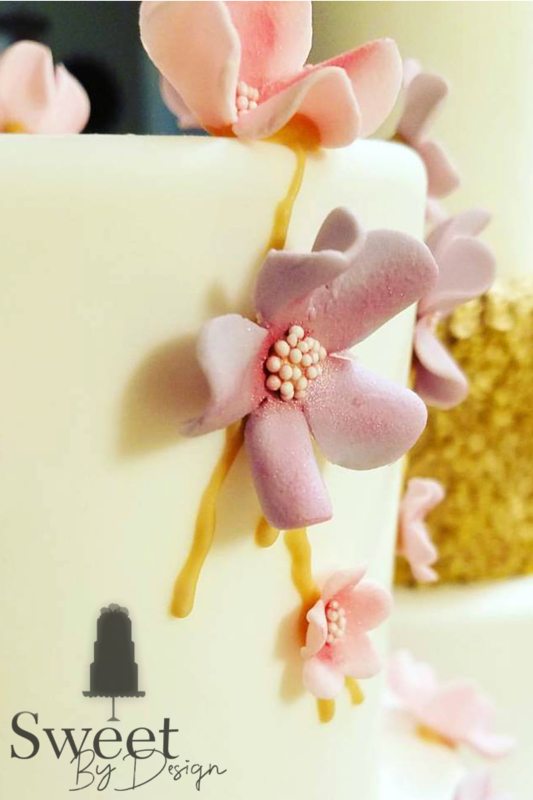 The cakes are very similar, but cakes with this kind of detail will never look exactly alike because they are hand made by a person, not a machine. The finish of the cakes is fondant that has been hand painted to replicate the look of parchment. 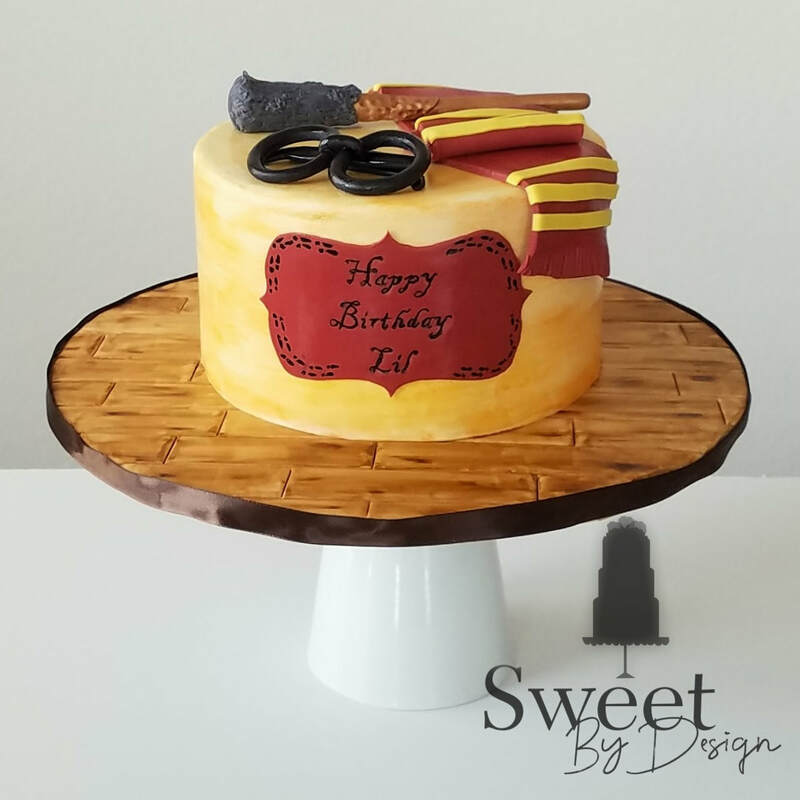 The wood grain look of the cake board is also fondant that has been hand textured and painted. The wands, scarves, and glasses are also all slightly different. 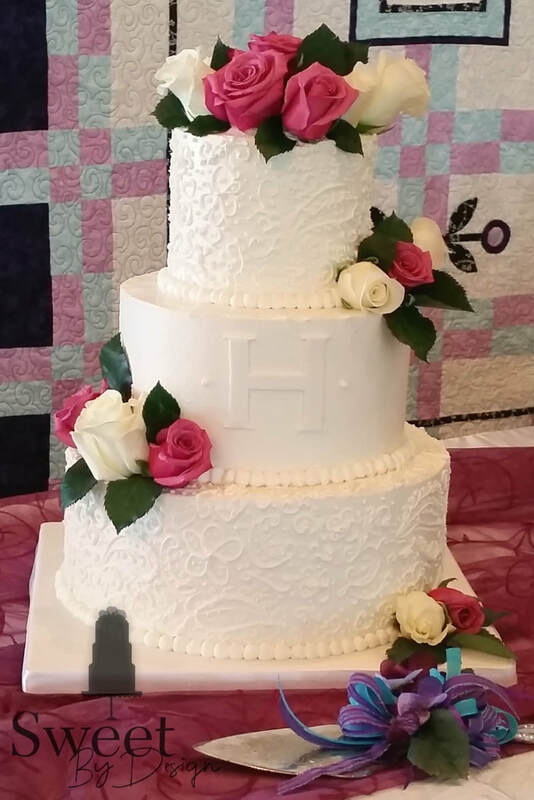 The most obvious difference I think was the addition of the footprints around the name plaque on the second cake. Ironically, both cakes were Chocolate Fudge filled with Chocolate Hazelnut buttercream. I guess wizards have a favorite flavor! 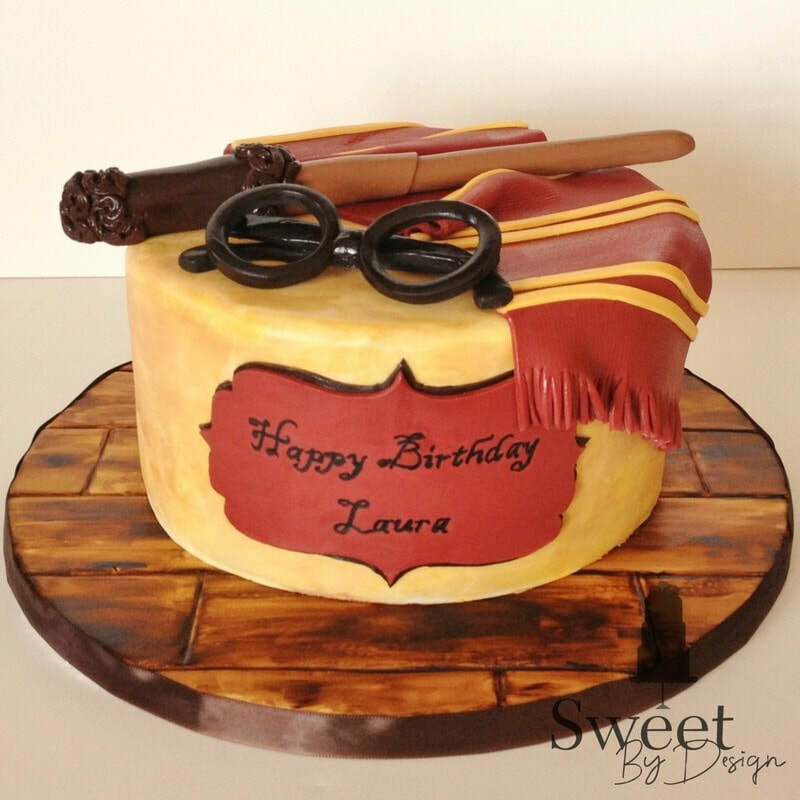 No two cakes will ever look exactly alike, not even if made by the same baker. 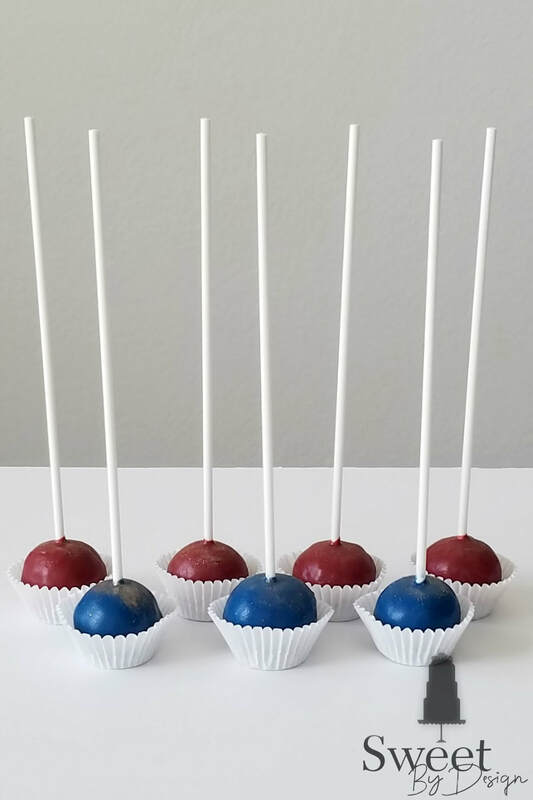 Also, there is this neat tool called Photoshop... ask your baker if the cakes pictured in their portfolio were made by them and if they have been altered in any way. 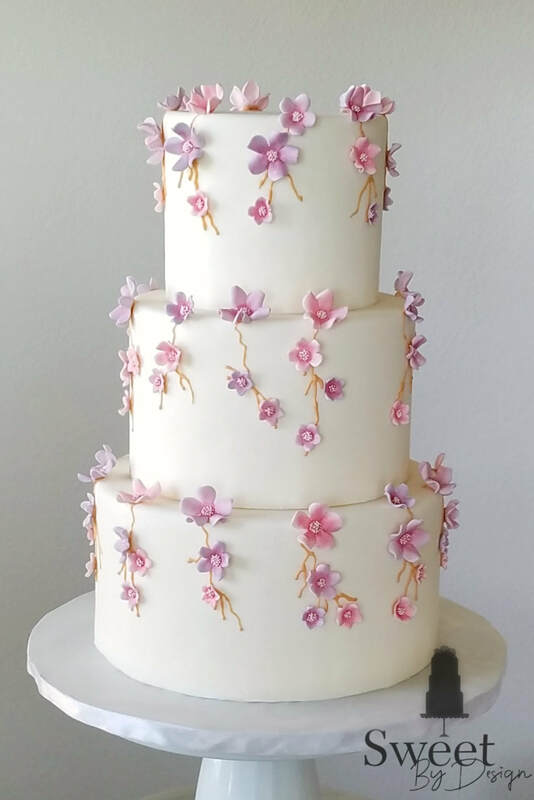 Personally, I only mess with the lighting on my cake photos - wedding venues tend to be dark, perfect for a romantic wedding reception, not so great for a baker trying to get a photo with her phone. 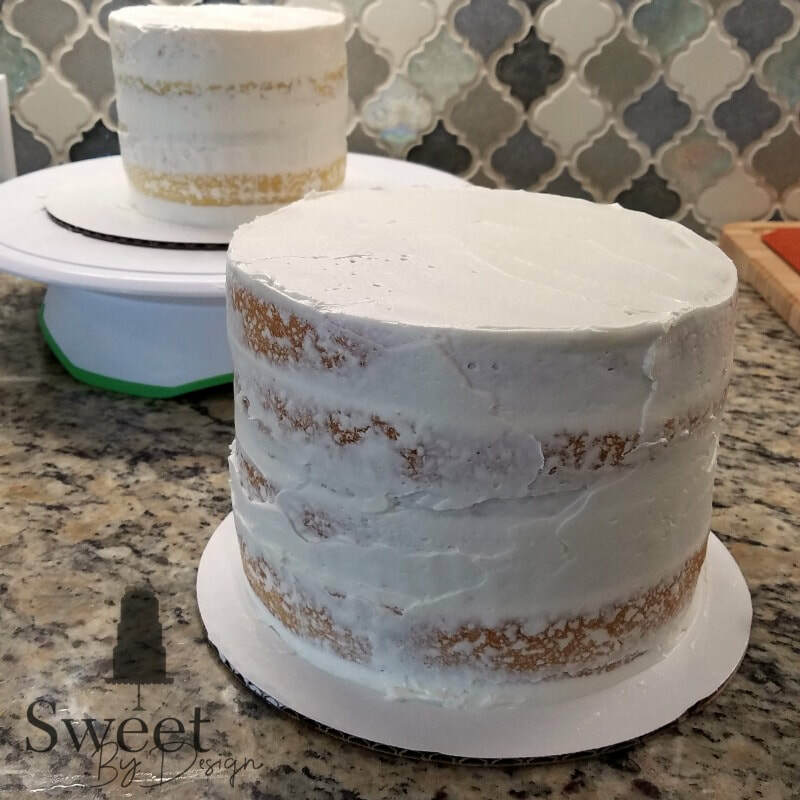 Otherwise, I don't retouch my photos - you need to know how your baker's final product will look, and you can't get a good idea of their skill level if they photoshop out their mistakes (the homeschool mom in me is cringing at using photoshop as a verb, but you get the idea, right?). 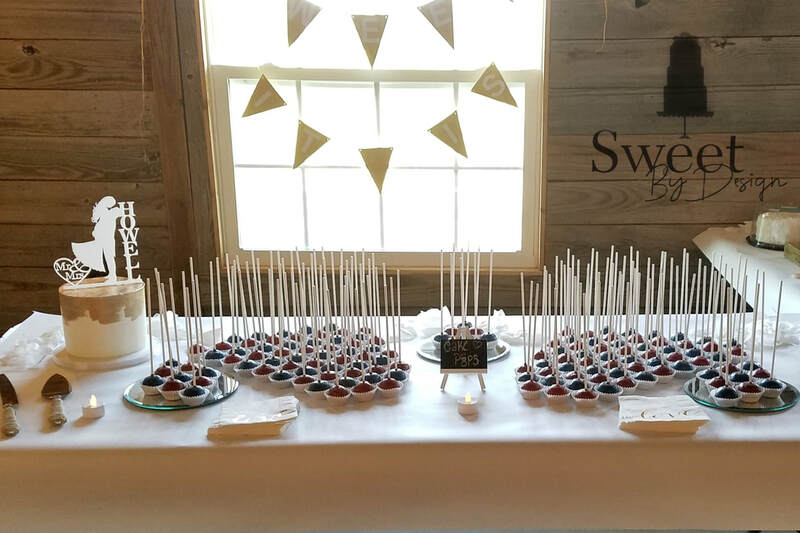 Pinterest is great for inspiration, but keep an open mind and let your baker talk to you about how inspiration from several elements can be put together into a custom design made just for your event. Actual cake sizes are deceiving in photos. Take a look at the two cakes below - one serves 55 and the other serves 100... can you tell which is which? The point I'm trying to make is to not let that dream cake you saw online be the end all, must have, can't even think of anything else. 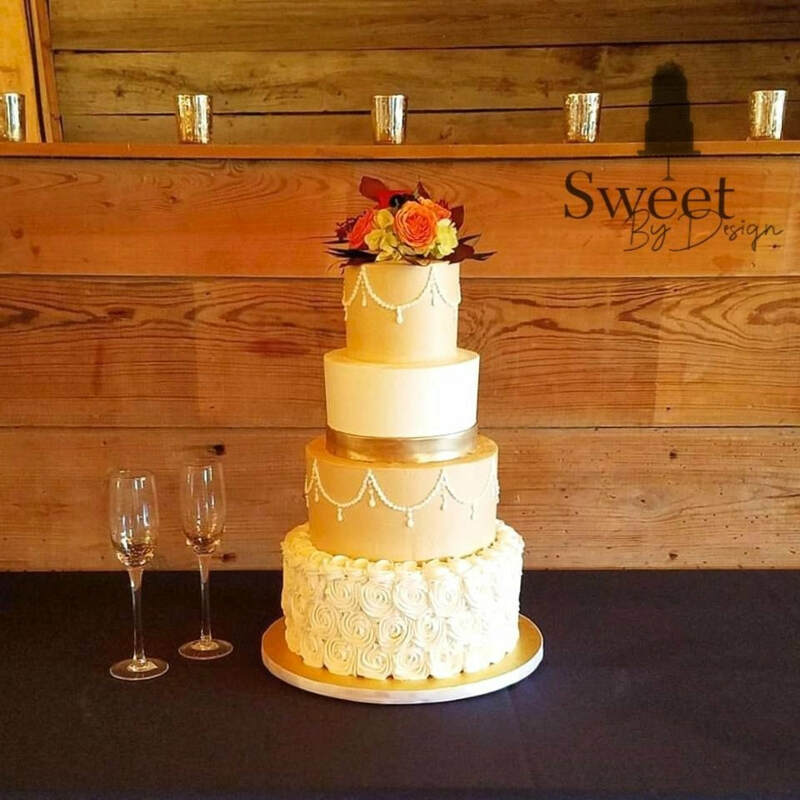 Your guest count will change the size and silhouette, your baker's skill set may modify the design, and the lighting at your event will alter how the final product looks. Be open to these changes, and you will end up with a centerpiece dessert that is perfect for you. Ah, the geode cake. 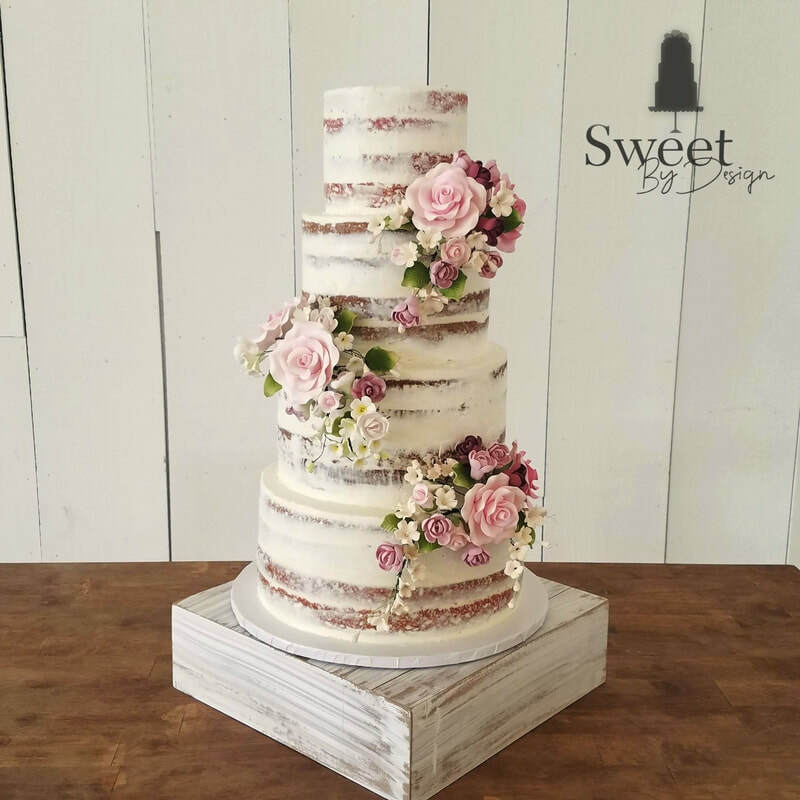 This is a relatively new trend that is taking the wedding cake industry by storm. Just search "geode wedding cake" on Pinterest and spend an afternoon perusing all the lovely sparkly confections. Go ahead... I'll wait. Cool, right! 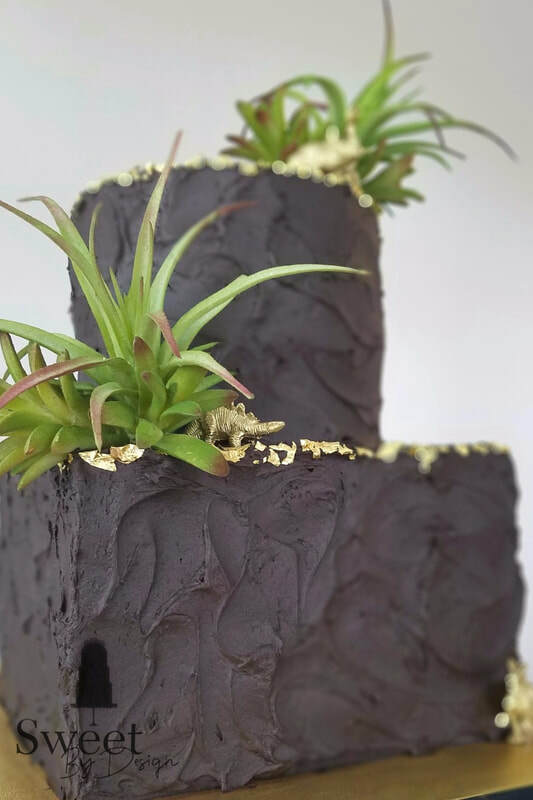 When made to look like a geode is growing in the cake, a portion of the dessert is carved away before being covered in fondant. 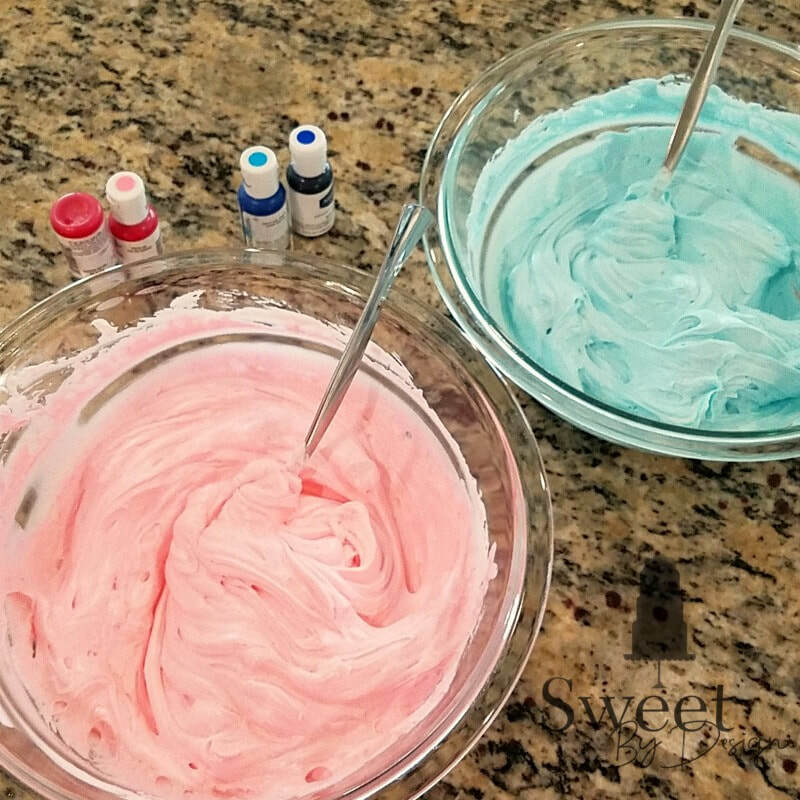 Clear rock candy is then placed in the divot and painted with edible color to match the colors of the event. 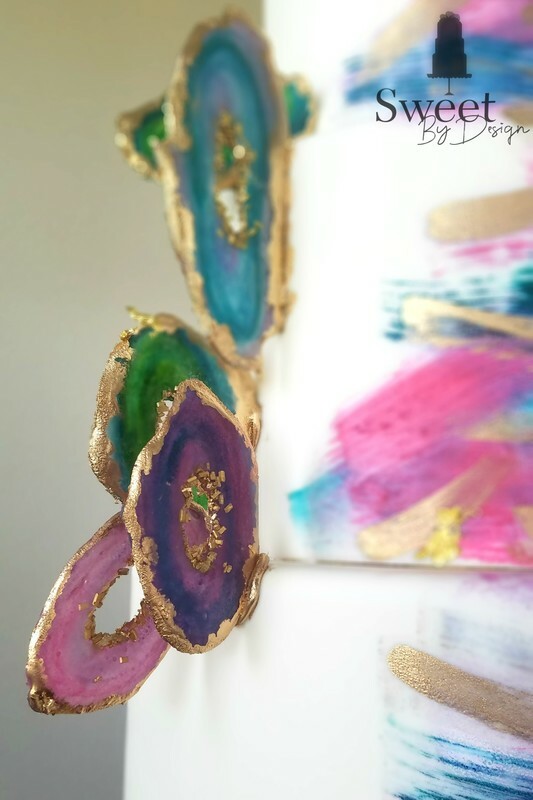 To make the agate slices, I painted rings onto rice wafer paper with the same food colors I use for my icings. I then poured melted isomalt, which is a sugar that is clear when it melts and rehardens, onto the paper being careful not to get any in the center. Once cooled, I could paint the edges with an edible gold. 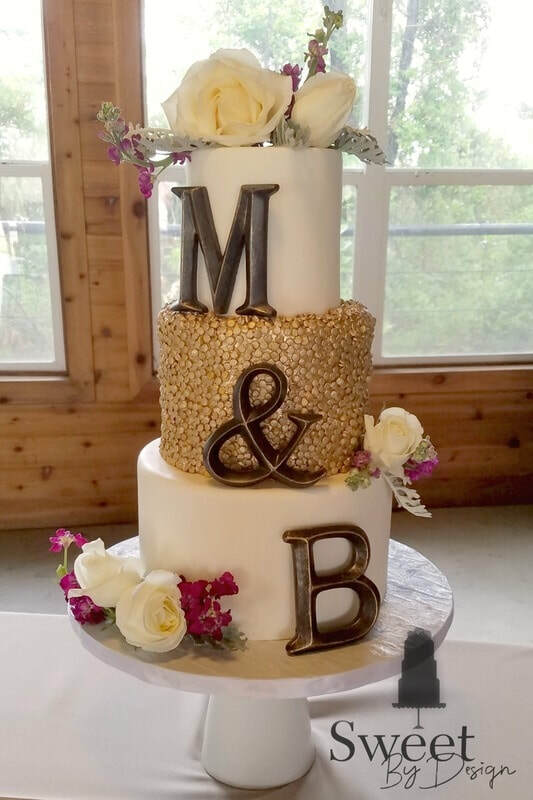 I painted the fondant covered tiers with the same food color and edible gold once the tiers were stacked, cut slits in the side of the cake for the agates to sit in, and added a bit of royal icing around them to make sure everybody stayed where they belonged. Then I added edible gold leaf here and there for a little extra shine. 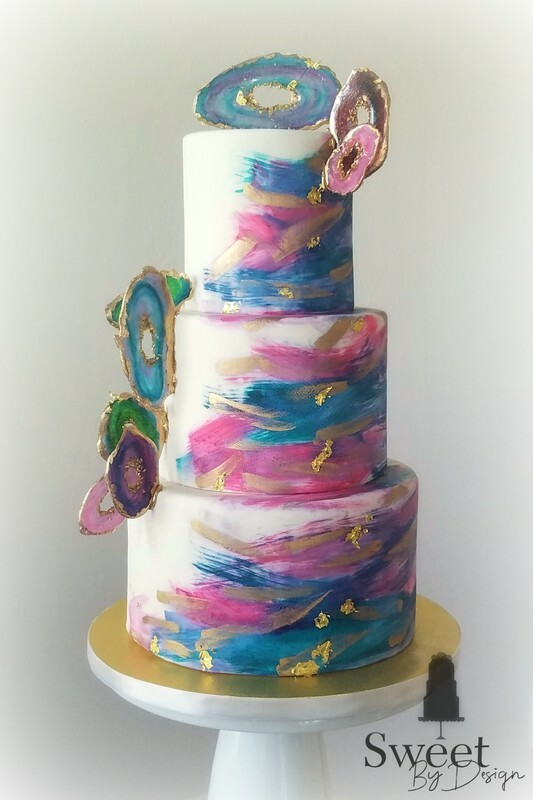 I love how this bold and colorful wedding cake turned out!